No, it won’t stop bullets. It won’t keep people from ripping off your property. It won’t even stop the government from putting you in a concentration camp, or executing you. About the only thing a “natural right” will stop is enlightened thinking on the ethics of liberty. Once you’ve read The Myth of Natural Rights and Other Essays, you’ll be able to put those imaginary protectors of freedom back in the museums where they belong. Libertarian scholars have had a difficult time being taken seriously in intellectual circles. There’s a good reason for this. While they have gained recognition and acclaim for their staunch defense of the free market, compelling advocacy of civil liberties and devastating condemnation of interventionism, their stubborn reliance on the ancient myth of natural rights leaves them in philosophical disrepute. The doctrine of natural rights has persisted among libertarians, because there has never been a systematic and thorough critique of all it implies. Until now. 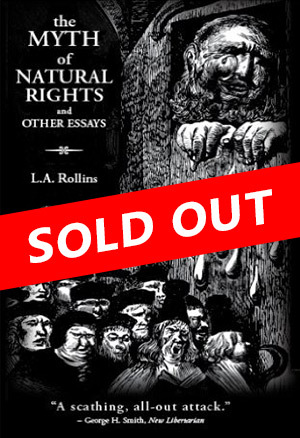 In one compact work, L.A. Rollins shatters the myth of natural rights, while exposing the “bleeding-heart libertarians” that promote it. With careful research and ample documentation, he shows that thinkers like Ayn Rand, Murray Rothbard, Tibor Machan and Samuel Konkin not only violate reason and logic in their defense of natural rights, but also violate the standards they set for themselves. Back in print for the first time in years, this newly revised edition features an insightful introduction by the Stirnerite-libertarian blogger, TGGP, along with a new afterword by the author. 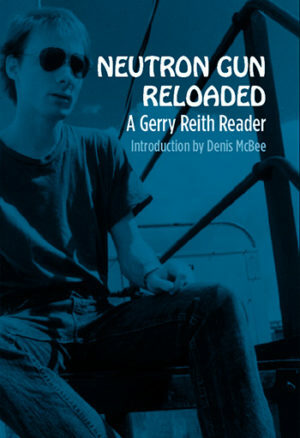 Bonus material includes an updated selection of splenetic jeu de mots from the underground classic, Lucifer’s Lexicon, as well as Rollins’ never-before-published writings on poetic insurrection, the Holy Qur’an and Holocaust revisionism. If you want to be reminded when new books or reprints are available, please leave us your email address below.